Pierre-Emile Hojbjerg got the only goal as Southampton claimed a crucial three points in the Premier League with a 1-0 victory at Brighton. 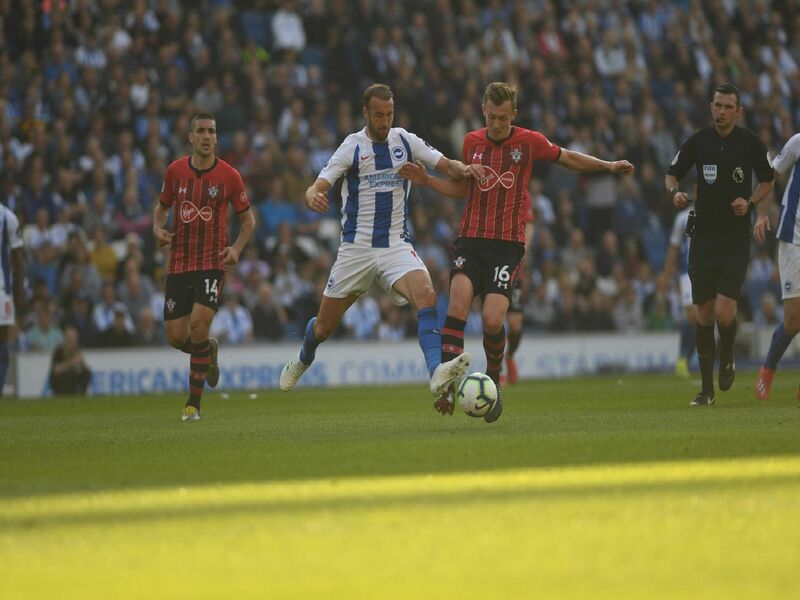 Hojbjerg netted from Nathan Redmond's pass after 53 minutes, before Albion pressed for an equaliser and Martin Montoya crashed a shot against the woodwork. Here's how we rated the players of both teams. Saved well-struck Redmond shot in early stages. No chance with Hojbjerg goal and had few other shots to deal with. Solid in defence and supported attacks well but Saints' goal came from down his side after Albion gave the ball away. Crashed a shot against the bar at 1-0. Dominant in the air defending set-pieces as usual. Bravely charged down Armstrong shot late in the first half. Headed opportunity over just after Southampton took the lead. Blocked goalbound Bertrand shot at 1-0.